Online dealership marketing strategies are about more than making consumers aware of what’s available in inventory. For a customer shopping online, it’s all too easy to jump over to a competitor’s website and forget about what’s in stock at the last site they’ve been browsing. So what can you offer to make your online presence stand apart from all the rest and keep potential customers from jumping ship? What a dealership website should do more than anything else is to keep customers interested in that particular auto dealer. At the end of the day, you’re selling more than a vehicle, you’re selling satisfaction and reliability. The best strategy to accomplish this goal has two parts: 1) to bring the abilities of your sales team to work online, and 2) to offer digital marketing services that are guaranteed to keep the customer invested in your business. 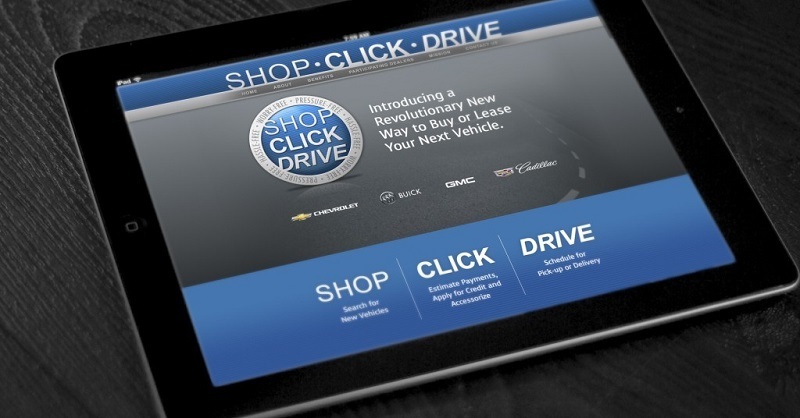 Of course, another part of keeping online shoppers interested in your dealership is branding. A successful image can help new customers to get to know who you are and why they should come to your location – but a more successful marketing strategy will go further by implementing advanced marketing solutions like professional chat software. With advanced online marketing technology, you can focus on bringing a part of your sales team to customers online, rather than simply trying to entice the customer to come to you. Remember, if you’re focused on only one approach, then you’re already losing out on half of your potential for new sales. What part of your sales team are you able to bring to the online forum? The part that makes your dealership stand out, and makes customers loyal by providing them with the feeling that they’re in good hands.In the past, this has been the number one difficulty with selling cars online. Bringing sales online might seem difficult to accomplish when you aren’t meeting face-to-face, but that’s why its such a good idea to contact the online dealership marketing experts to learn about the most advanced chat software in automotive that’s available today and consider implementing it on your website. When you invest in professional chat administrators, you can be confident that you’re getting the absolute best in representation for your dealership and service for your online customers. By working hand-in-hand with your sales team, your online chat professionals canput their expertise to use in building a relationship between your dealership and the customer and start generating better leads for your dealership. Not only will chat software help to give the customer a better idea of your business, it will allow them to interact with a representative 24 hours-a-day, so their questions get answered on time. Chat software can be used to send customers images and video, to help guide them through online financing and insurance options, and even to speak directly to your sales team. Adding professional chat software to your dealership website will bring your online marketing to the next level. Once you’re set up with the latest in online marketing services, you’ll be ready to talk to an online dealership marketing expert about the upcoming potential of closing car sales on the internet.